There is no cost to participants! 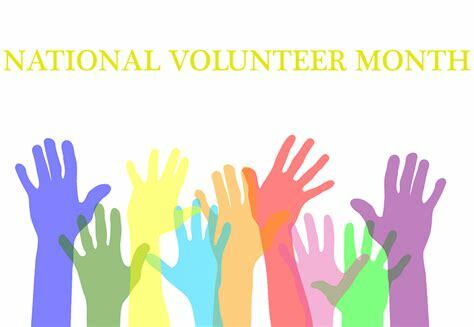 2019 participants can RSVP and register at TBA Chapter members, if you’d like to volunteer for the event, contact our Volunteer Coordinator at chicagosleadingedge@gmail.com. What is the Sky’s the Limit Interactive Aviation Camp and who is it for? 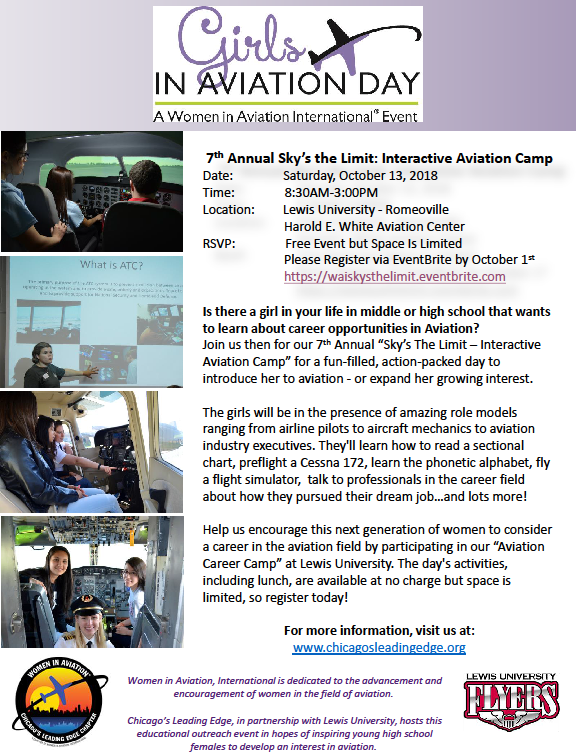 The Sky’s the Limit camp is a new event that will be hosted yearly by the Chicago’s Leading Edge Chapter of Women in Aviation. The camp will explore different careers within aviation including; Pilot, Air Traffic Controller, Airplane Mechanic, Airline/ Airport Management, among a few others. Young women in high school and college are the targeted group for this camp, however, young men are welcome to participate as well. The camp will be held on Lewis University’s main campus in Romeoville, IL. Many of the workshops will take place in the Harold White Aviation Building which is adjacent to the airport. A few of the workshops will take place on the airport itself. There is available parking across from the Harold White building in parking lot G and F. Visitors will need to acquire a pass at the entrance to the university. Lewis University, One University Parkway Romeoville, IL 60446. The campus is located on Route 53 just North of Renwick Road. Who is the Chicago’s Leading Edge Chapter and what do they do? 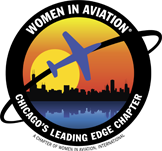 The Women in Aviation Chicago’s Leading Edge Chapter was founded in October, 2009 and serves the Chicagoland area. We are a Chapter of Women in Aviation, International, a nonprofit 501(c)(3) organization dedicated to providing networking, education, mentoring and scholarship opportunities for women (and men) who are striving for challenging and fulfilling careers in the aviation and aerospace industries. There is no cost to attend the camp and lunch will be provided. Lewis University is our main sponsor for the event and will be providing the facilities and lunches. A chaperon is not required as long as the release form is completed by the guardian and turned in to the registration table on the morning of the event. A guardian may accompany the student during the day. In this case, please let the event coordinator know so that lunches can be provided. If you are coming with a group, a chaperon may be required. Casual attire may be worn. Please, no inappropriate clothing or shirts with explicit content.